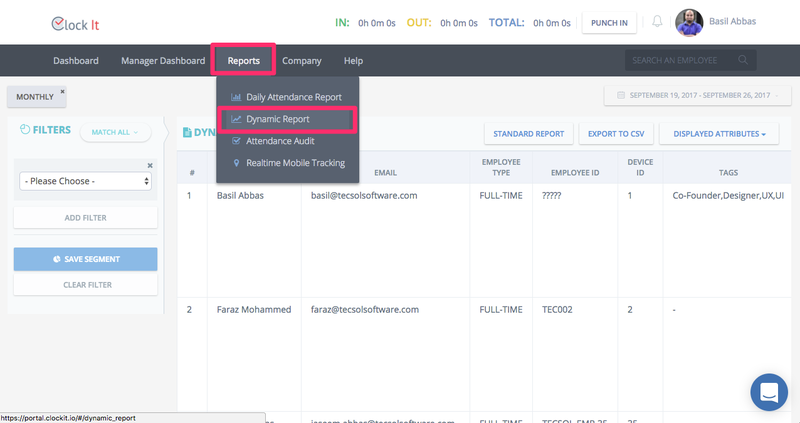 Understand standard reports and how to use them. 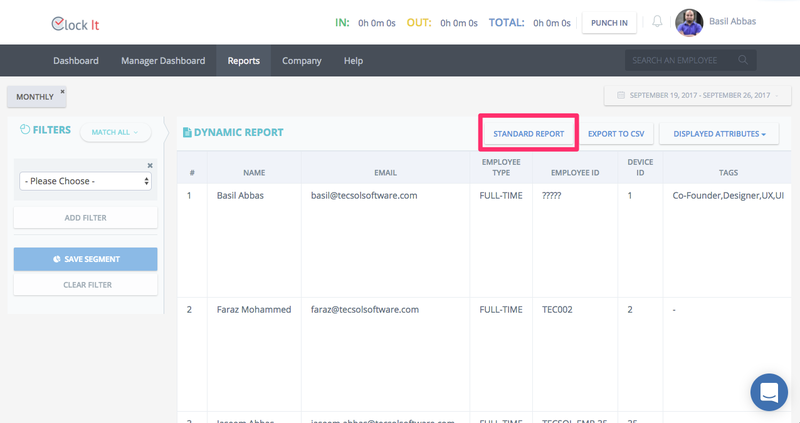 A standard report is a simplified version of the dynamic report that can be exported only to CSV. A standard report will generate data row-wise for each date for the selected date range. 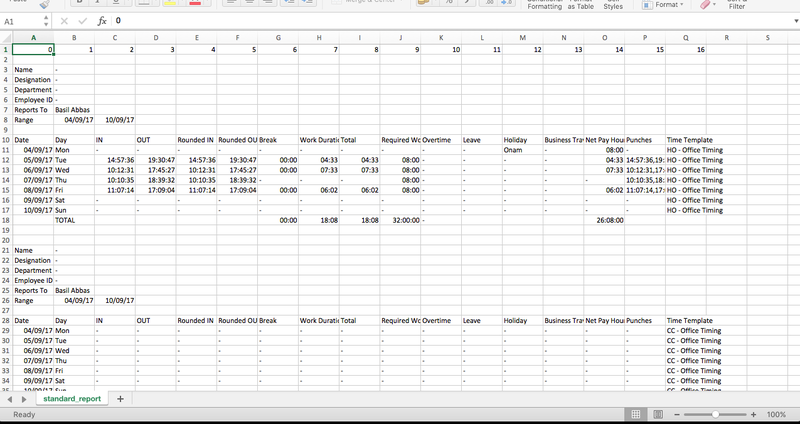 This will enable you to easily send the spreadsheet for payroll. The standard report also accounts for rounding minutes that makes it easier for work hour calculation and overtime calculation. 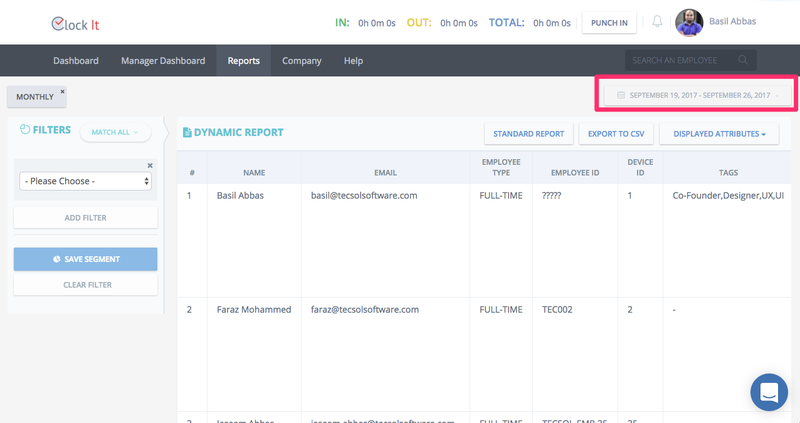 Next click on the Standard Report to download the CSV report for the date range selected. We use the most standard formats for dates and time so that you can apply your own formulae in case you would like to further process the data in our spreadsheet. The NET PAY HOURS will allow you to easily process payroll taking into account Holidays, Leaves, Business Travel etc.